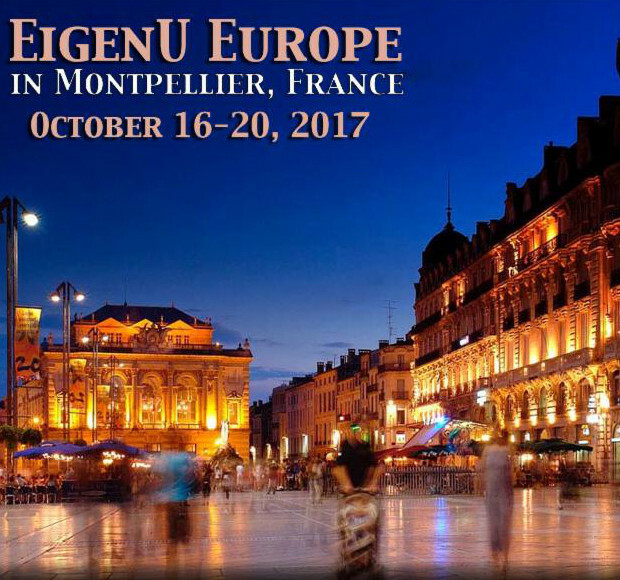 We are happy to welcome again this year in Montpellier the 7th Edition of Eigenvector University Europe, on October 16-20, 2017. Eigenvector Research Inc, producing the well known PLS_Toolbox software for data analytics, is one of Ondalys software development partners. The EigenVector University Europe proposes five days of chemometrics courses, from beginners through advanced levels. The 2017 edition of EigenU Europe has been expanded to five days. It will offer three-day Basic Chemometrics courses followed by two days of specialty and advanced topics. It includes the following modules from the renowned Eigenvector University series. Monday through Wednesday, October 16-18, the courses will cover the fundamentals of many commonly used chemometric methods such as Principal Component Analysis (PCA) and Partial Least Squares (PLS) regression. Emphasis will be on applying these techniques in the chemical process and laboratory environment for pattern recognition, instrument calibration, and sample classification. The class begins with a brief review of linear algebra and moves quickly into PCA and PLS. Variable selection will also be covered. On Friday, October 20, participants can select Hyperspectral/Multivariate Image Analysis or Introduction to Multi-way Analysis. The courses will be led by Eigenvector co-founders Barry M. Wise and Neal B. Gallagher who will be joined by Eigenvector Associate Prof. Rasmus Bro. EigenU will be held at the beautiful Marriott Courtyard Montpellier. For complete information, please see the EigenU Europe page.